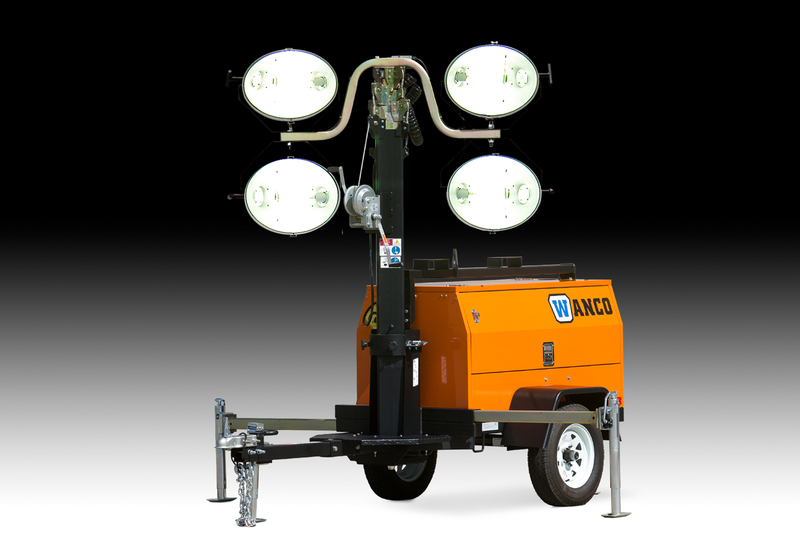 Vertical-Mast Diesel Light Towers - Wanco Inc.
Wanco Vertical-Mast Diesel Light Towers deploy quickly with a single winch to raise the mast, which rises to 30 feet. For fast job-site setup and less downtime, each light can be aimed independently without the use of tools — and they stay in place once positioned. 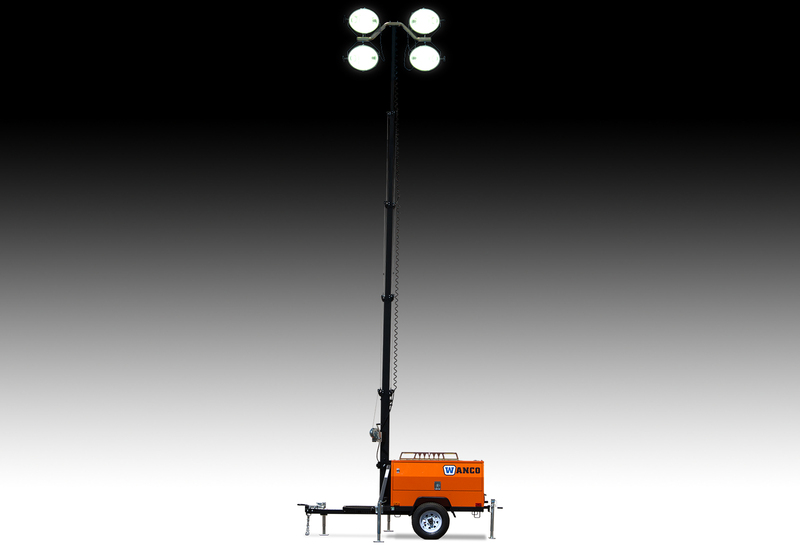 The lights can operate at any height and the mast can rotate 358 degrees, even while extended. Approx. 60 to 70 hrs.